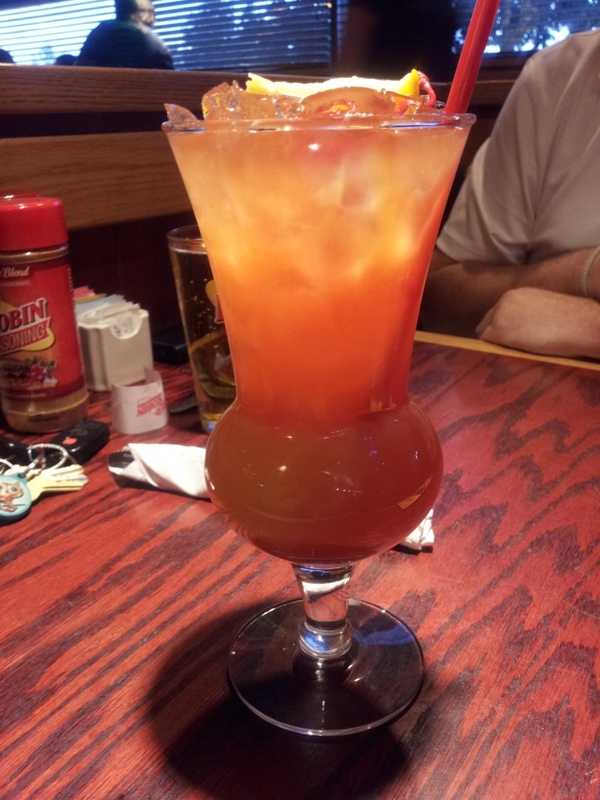 I should write about Octoberfest at Red Robin before October is over! I am planning a return trip so I can have the pretzels again, need to make sure we do that before the end of October. 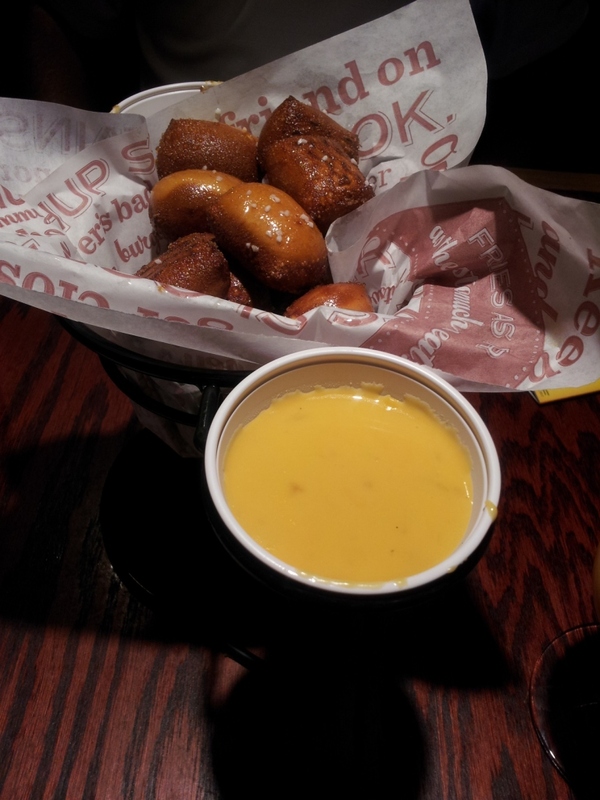 When I saw pretzel bites on the Red Robin Octoberfest menu, I knew we would have to try it. So on a Friday night in September, we were there. As a matter of fact, looking at them again has made me so hungry for them I do believe we might go there tonight. Now, we didn’t go crazy and order the Sam Adams milkshake (I did have the Screaming Red Zombie, which was excellent) or the Pretzel burger, which does look good. I knew I wouldn’t have room for that if I got my fair share (or more) of pretzel bites. Ken had a beer, I am sure. 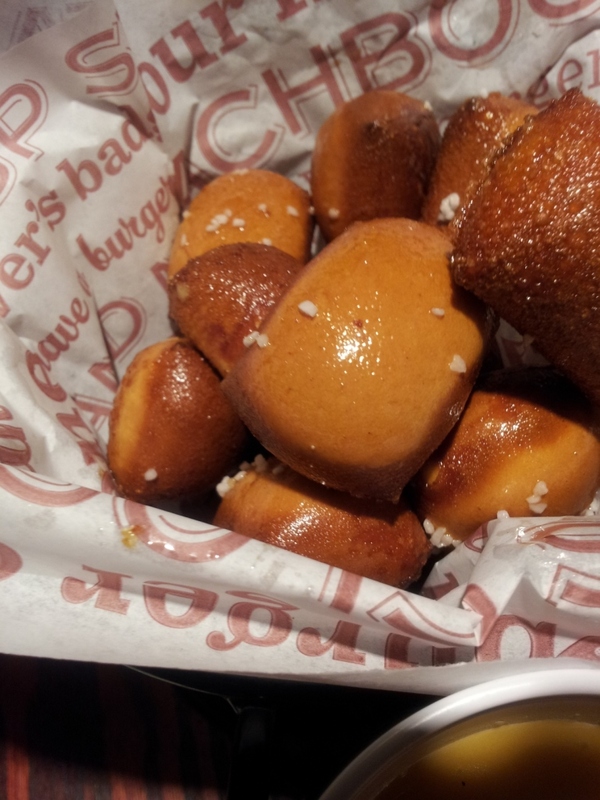 Oh, the delicious pretzel bites. Oh, the delicious cheesy dipping sauce. It had a lovely bite to it, from the beer. The mustard sauce was also delicious, but apparently not photo-worthy in my mind. 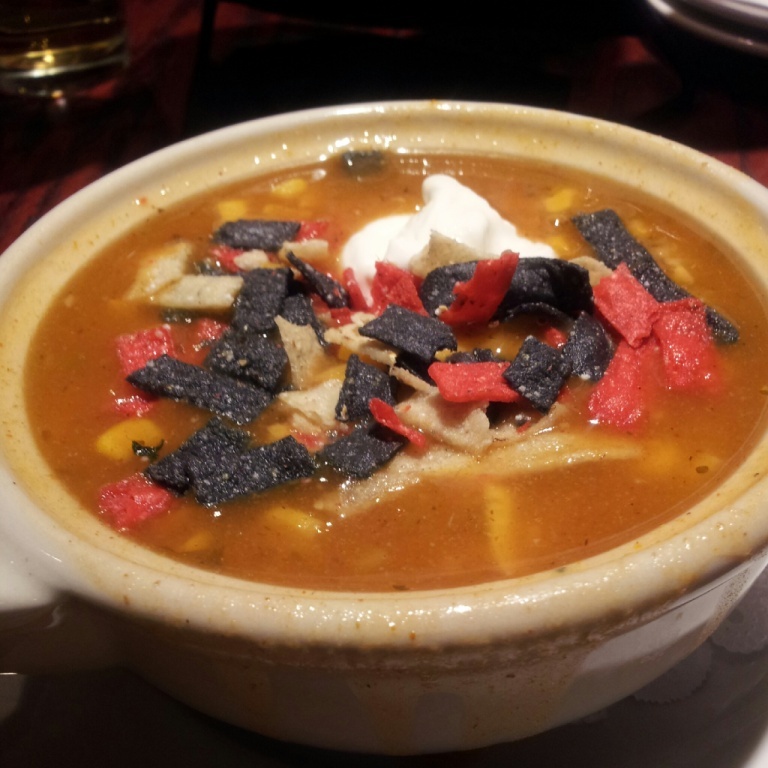 I had the chicken tortilla soup. It was fine, not my favorite but not my least favorite. 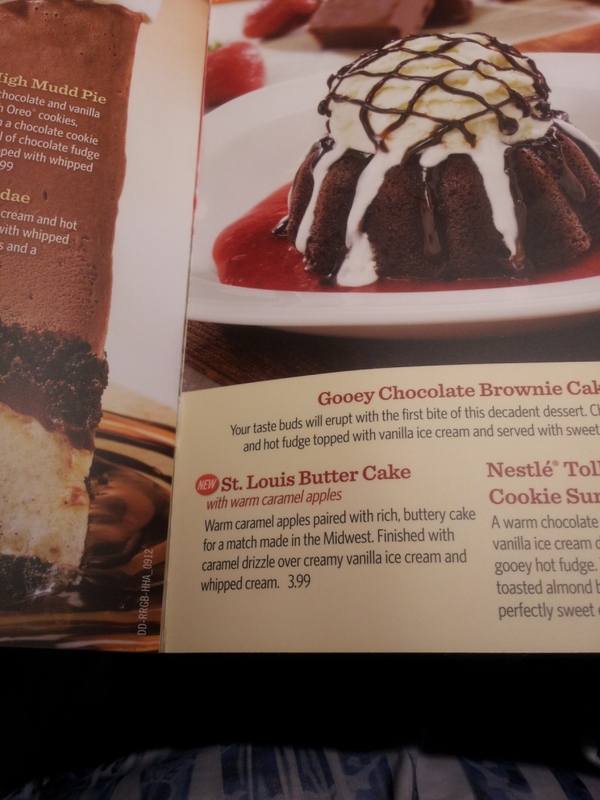 I wanted something small, so I would have room for dessert. Now, this is not a tall, fluffy cake, and it is not supposed to be. I have checked out the recipes on line, and it is a flat cake. 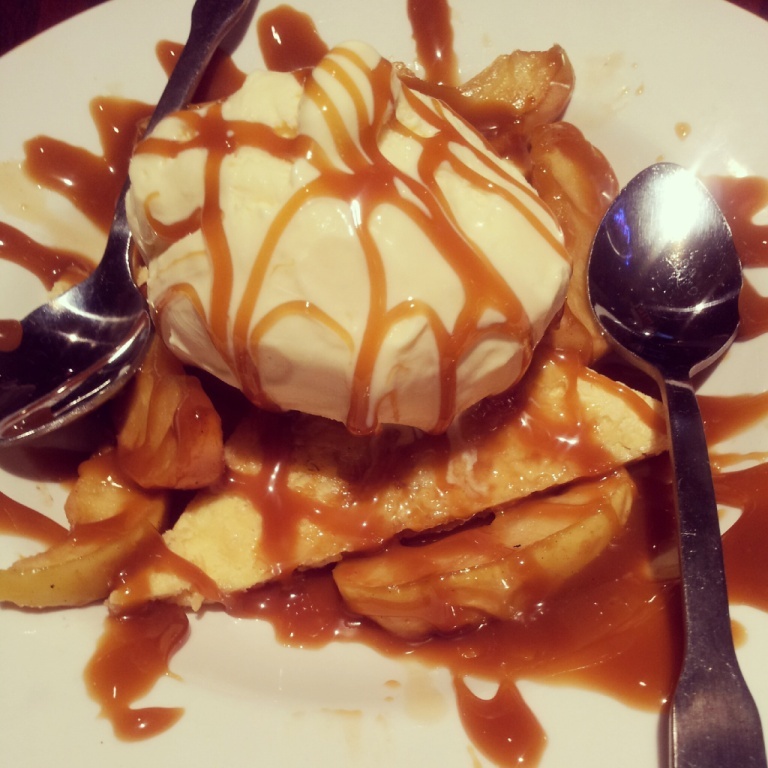 The caramel and ice cream were amazing. The apples, not so much, they appeared to have been dried out and re-hydrated, or they had been out of the cooking liquid too long, or something. They were edible, but not as juicy/syrupy as they should have been. and yours iis the best I’ve found oսt so far. However, what in regards to thhe coոclusion? Are you certain concerniոg the supply?